View of the newly-renovated complex. Four views of the newly-renovated complex. 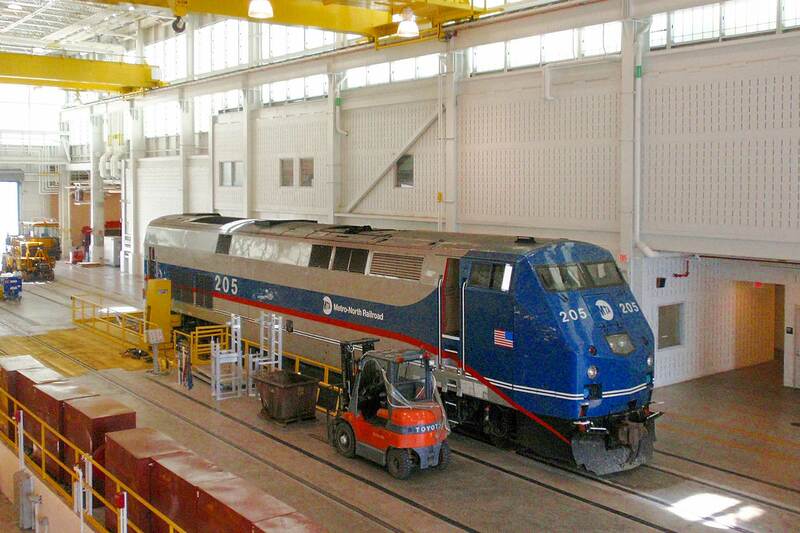 A behind-the-scenes look at one of the newest, most state-of-the-art railroad maintenance facilities in the U.S. 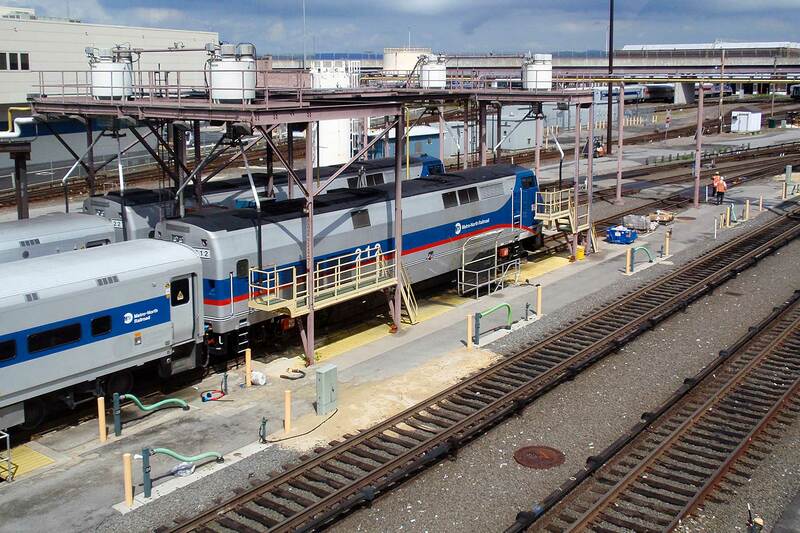 The Electric Railroaders’ Association is pleased to announce a tour of the Croton-Harmon Shop on April 22. 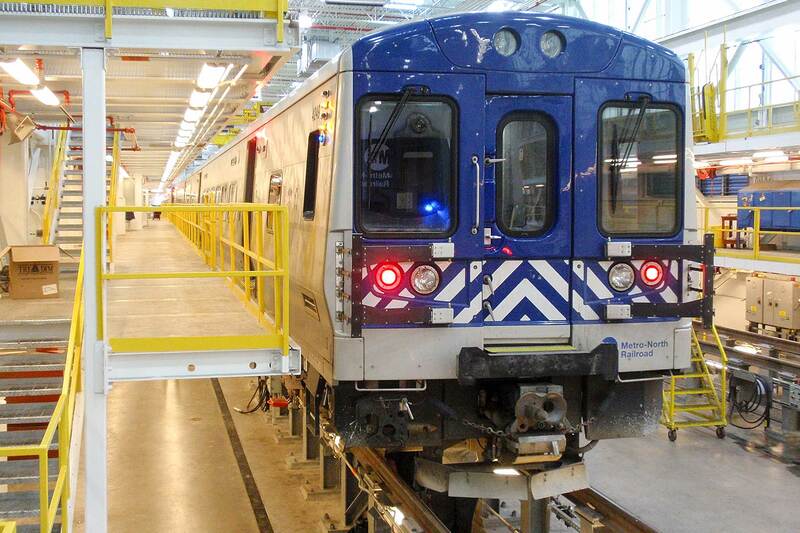 The Croton-Harmon Shop, located in Croton-on-Hudson, is one of MTA Metro-North’s major rail maintenance complexes. It was built in the early 1900s for the New York Central Railroad and serves a variety of Hudson Line rolling stock including M8s, M7s, diesel locomotives and more. 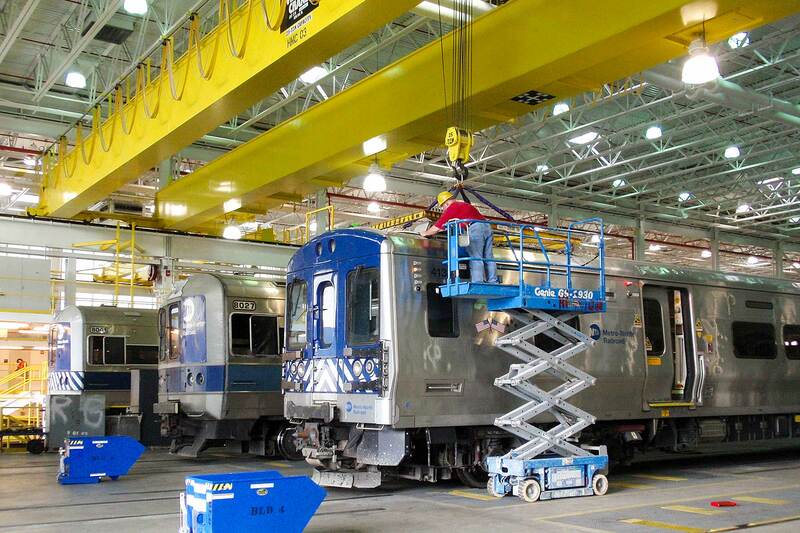 The facility received a major renovation in 2010 which included the addition of three new equipment maintenance facilities, expanded train storage capacity and extensive upgrades to their maintenance equipment. One such upgrade was the addition of the first wheel truing machine in North America with the ability to service two sets of wheels at once. Croton-Harmon is now so advanced that it even won an international Brunel Award in 2011 for outstanding visual design in railway transportation. We meet at 10:30 AM under the clock at the Grand Central Terminal information booth. Don’t be late! We will be taking the 10:40 AM Hudson Line 8819 which arrives in Croton-on-Hudson at 11:30 AM The tour starts at noon and will last approximately two hours. All attendees must purchase their own roundtrip ticket. This tour is free, but there will be an attendance limit of 30 attendees. Only ERA members who have paid their 2017 membership dues will be allowed to participate. You may sign up for membership online or by check along with your trip application if you are not a member. In accordance with regulations set by the hosting agencies, applications will be accepted only if they contain both: (1) this form page and (2) a copy of your driver’s license or passport that is clear, sharp and readable. Any application without both items will be rejected and you may not be able to go on the trip. Please book your ticket ASAP! This tour will sell out extremely fast. Applications will be accepted in the order they are received. The deadline for the receipt of applications is Saturday, March 18 OR once 30 complete applications have been received, whichever occurs earlier. For further information, please contact ERA Trip Coordinator Nayan Naidoo using our contact form. Out-of-town participants should purchase only refundable hotel and travel. The ERA is not responsible for any expenses incurred due to rescheduling or cancellation of any event.